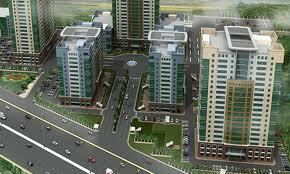 DLF Commercial has redefined the conventional concept of stand-alone work spaces by integrating work with leisure. 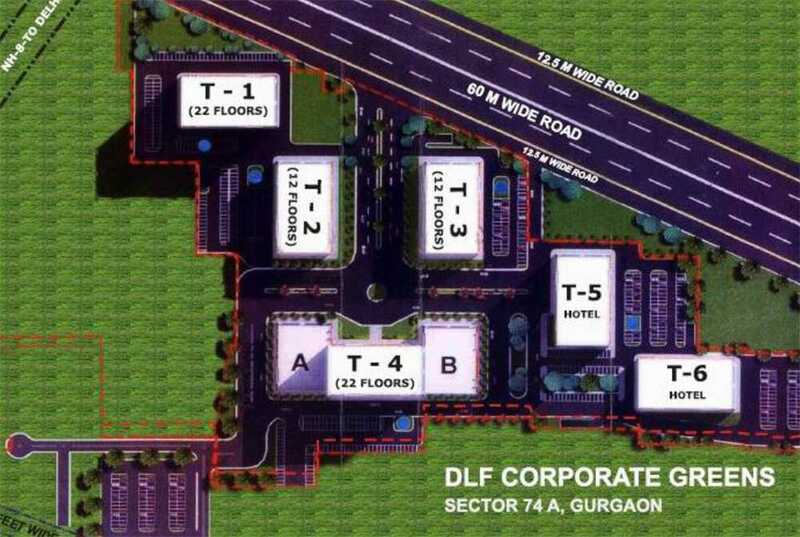 Combining the strengths of well-grounded experience with the dynamic needs of modern times, DLF Commercial has ushered in a new era of work culture and futuristic office spaces, at the very core of India's most prestigious central business districts. 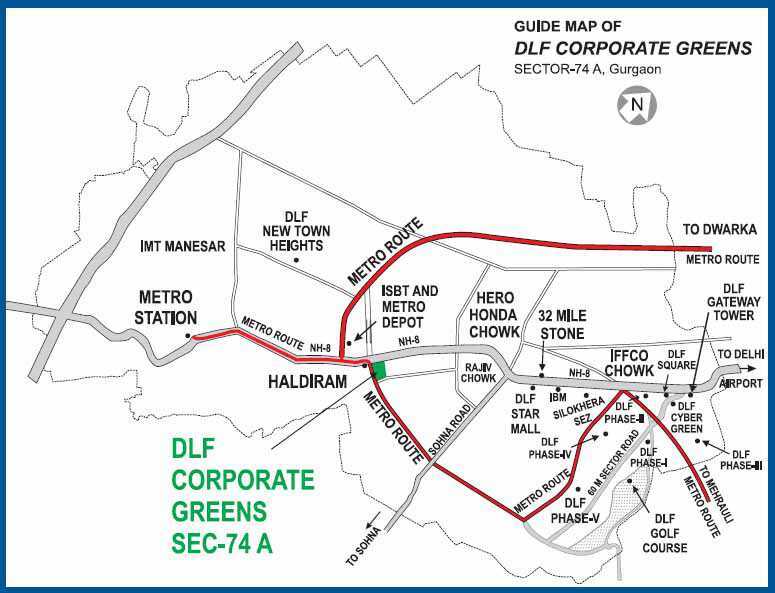 DLF Corporate Greens is strategically located, next to NH 8, in the upcoming Sector 74A, Gurgaon. 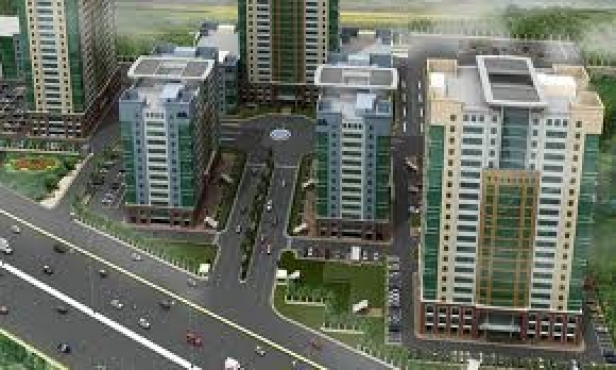 Spread over sprawling 25 acres, the project is to be developed on the lines of district centre comprising premium Commercial , Retail and IT spaces.